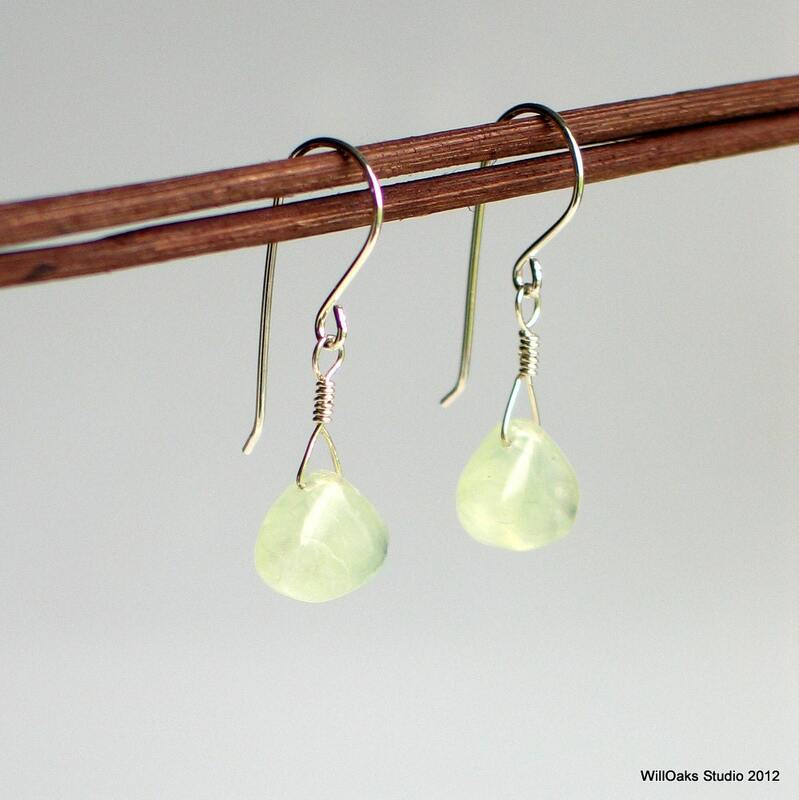 Sweet, simple wire wrapped translucent natural green prehnite teardrops dangle from handmade sterling ear wires. Shown here in bright sterling and also available in oxidized sterling-choose your finish at check out. 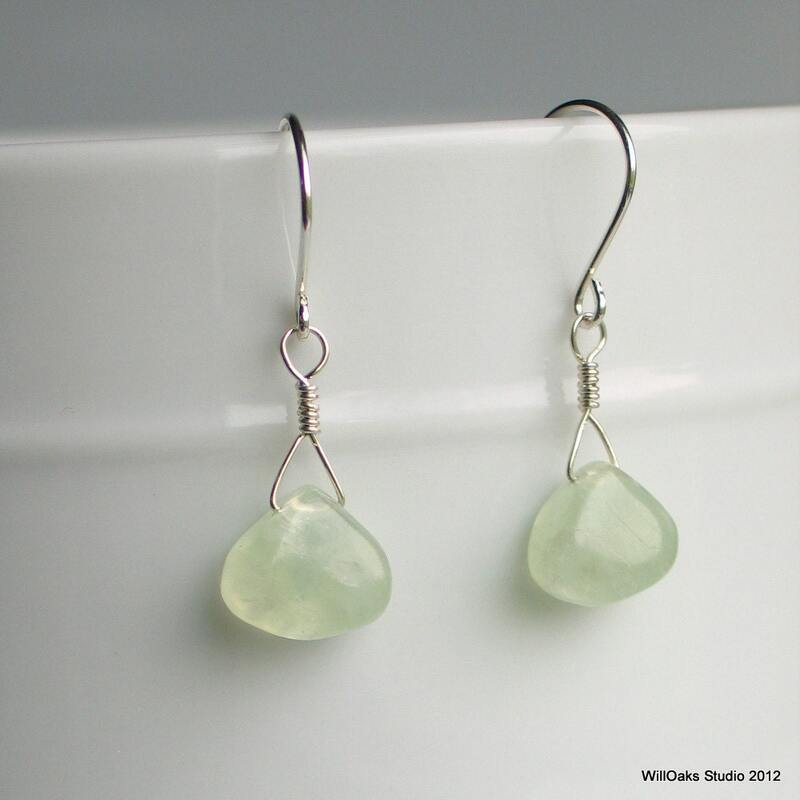 The total length, from the top of the ear wire, is about 1 3/8". 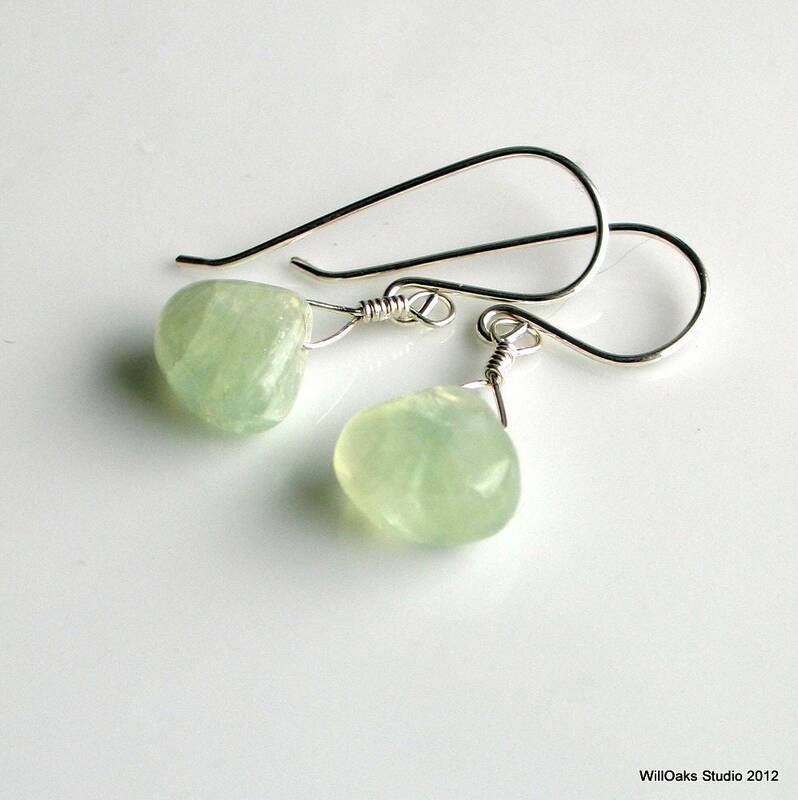 A limited edition, there is some natural variation in the pairs of stones I've obtained for this design, but each pair is well matched translucent green with subtle inclusions. A gold-filled version is also available in my studio as a separate listing. 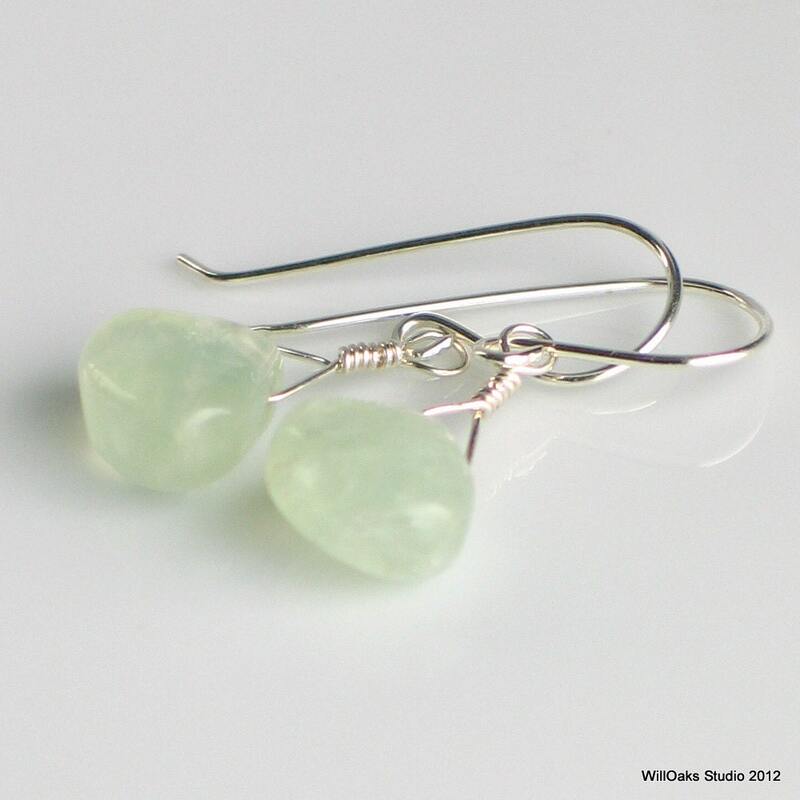 Every earring purchase is presented in my signature cotton-filled box which is mailed in a bubble lined envelope--all ready to keep...or to give as a gift! 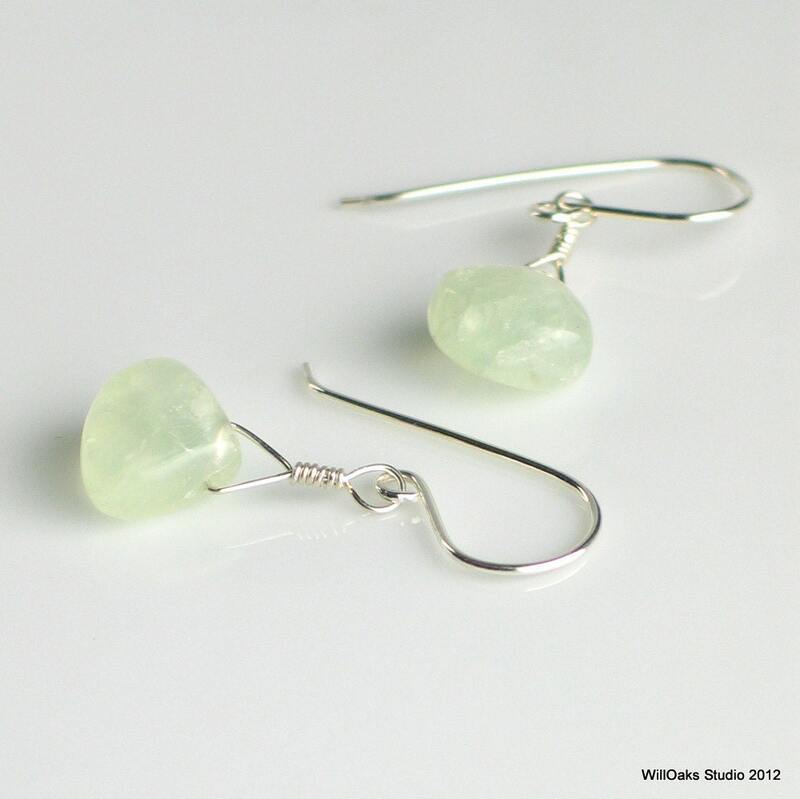 Very simple and pretty. Just what I was looking for!